Rising gasoline prices have driven some people in Victoria to opt for an economical alternative to car ownership: car sharing. The Victoria Carshare Co-operative serves 500 members, who each enjoy driving for $120-$150 per month, a fraction of the $600 the average Canadian spends monthly to own and operate a car. Plus, co-op users can feel good about doing the right thing by reducing their carbon footprint. 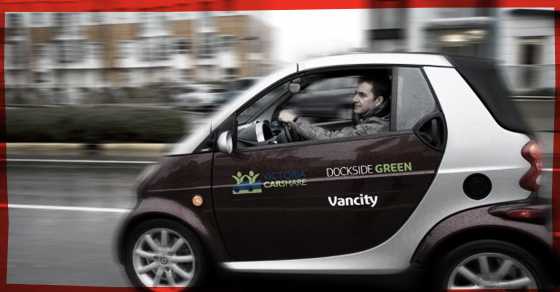 With help from Vancity, the Victoria Carshare Co-operative recently added two cars to its fleet of 20. Need a loan for energy-saving upgrades for your office building, warehouse or strata complex? Planning to buy or build green?